"I didn't even know what town I had been found in. We had been told daily of our good fortune, reminded that we had food, clothes, shelter, teachers and even a small allowance. It had been repeatedly pointed out that many children with parents weren't as well off as we were. Was it a form of brainwashing?" I like this one. My post is up!! Wow, this does sound tempting...love the cover. Nice teaser! Thanks for stopping by today! Oh, I liked this novel a lot & I hope you're enjoying it, too. It's interesting how radically different the paperback cover art is from the hardcover. I loved this book! I hope you're enjoying it! Great teaser! I hope you're enjoying it! Sounds like such a good read! Can't wait to hear your review! Definitely a good teaser...Why doesn't she know how she got there? Great teaser. That sounds a bit creepy! Great Teaser! Interesting tease. Sounds like a good book. Sounds FABULOUS ... I'm adding this one to my TBR stack!! 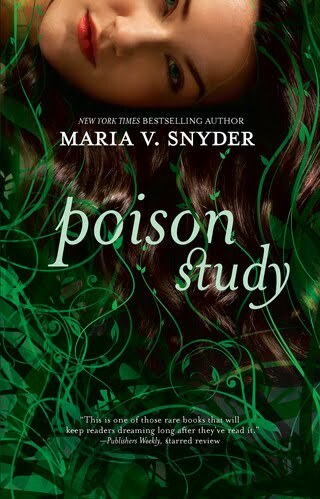 Great Teaser - I *adore* Poison Study so I hope you really like it too. Got this one on my TBR list. Very intriguing! Sounds sad - children without parents. Excellent teaser, though! This sounds great. Great teaser! I hope you enjoy the book. I love your blog. I'll be passing by to check out your reviews soon. Happy Reading and thanks for passing by today. Ooh, great pick for a teaser! This book is in my TBR pile. I have been wanting to read this. I really enjoyed the Glass series (spin off). Great teaser! i love the voice it's told in. and the cover is simply beautiful. wonderful teaser! Definitely a good teaser. I've heard good things about this book and author! Thanks for visiting my TT! that sounds so eerie and like such a great read! cannot wait for your review! and in one of your commentators i read it's part of a trilogy - i just adore those kinds of stories! brainwashing -- great way to tease anyone. love the cover. Thanks for stopping by On the Bookcase! Teaser and title are both intriguing. Hey, there is a point there. I never thought about it being brainwashing with being told others are not as well off as you. So true! :) Thanks for the great teaser.